Siberian Iris have a limited early history in Hybridising. It maybe interesting to collectors of historic Irises that, only 157 Siberian Irises were recorded up to and including the year 1960 by the AIS checklists. Of these according to the AIS 1939 Checklist only 20 Siberian hybrids were in commerce or registered before 1920. (not including species) Some entries in the 1939 Checklist are not listed in the Cumulative Check List of Siberian Irises Some Irises catalogued by commercial growers do not appear in either Checklist so the above figures can only be considered provisional but give a reasonable indication the limited size of early Siberian plant breeding history when compared to Tall Bearded Iris over the same era. An Example of checklist problems includes the above Photo and the Show information below and is courtesy of the British Iris Society Year Book 1937. Iris Society's Show 1937,List of Trophies and Medals Awarded other than for new Seedlings, Lady Byng of Vimy was awarded The Spender Challenge Trophy for Iris Sibirica Division V (class16) 6 varieties of Iris sibirica and/or Iris orientalis and their hybrids not more than 12 spikes each vase. Varieties in the prize winning exhibit of Viscountess Byng are as follows, Thorpe Aquamarine, Thorpe Azure, Thorpe Glory, Thorpe Purple, Thorpe Sapphire, Thorpe Turquoise. All of these varieties are listed in the 1939 AIS check list, but not listed in Cumulative Check List of Siberian Irises, yet they are well documented. Iris plant History will always be a work in progress and will never be considered definitive. No feature on Siberian Irises would be complete without including 'ROARING JELLY'. In New Zealand it was originally imported from America by Eddie Johns of Otara Birch Gardens fame (Shows he has good taste) and in gardens where it grows it still is a sensation. recurved. Strong repeat. Morgan-Wood Medal '99. Available in America from Joe Pye Weed's Garden, and also Iris City Gardens. Available for Spring delivery from both Tomas Tamberg's Garden in Germany and Joe Pye Weed's Garden in America. To receive Spring delivery of Siberian Irises from Tomas Tamberg orders must be received no later than the 31st of March, 2009, Joe Pye Weeds Catalogue states that you can chose an April, August or September delivery date. 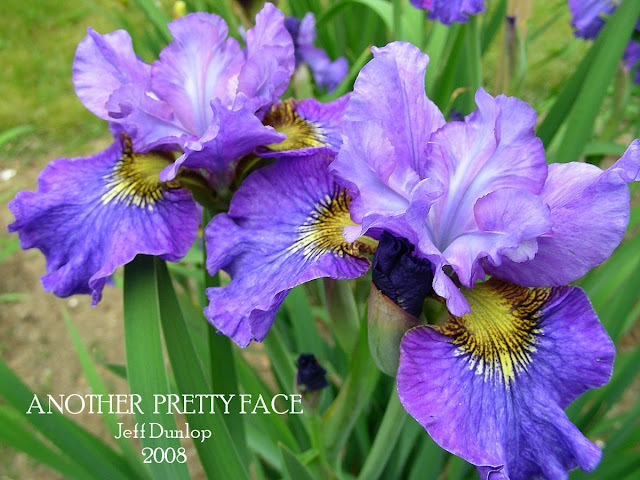 It give's me no end of pleasure to share with you all this fantastic 2009 Dunlop & Cole introduction "Another Pretty Face' with its dark blue black buds which when opened reveal an absolutely 'Top Class' Siberian, iridescent blue-violet coloured with red-violet highlights. ANOTHER PRETTY FACE Jeff Dunlop, R.2008). Sdlg. 99256-2T. SIB (tet), 28” (71cm), Mid thru Late season. A lovely new blue-violet with red-violet highlights. Standards are violet (RHS 87A). Style arms similar with red-violet infusions and slightly darker keels. Fall are blue-violet and a little deeper colored than the standards and styles (89B/C). Small yellow-white signals and yellow hafts. Pleasing and well ruffled flowers. Stalks have one branch and 4 to 5 blooms. Proving to be a parent with interesting kids too. A nice red seedling, 96102-3T: (Harpswell Chanteuse x McEwen T8 87/80-1) X Strawberry Fair. Dunlop & Cole, Fieldstone Gardens, 2009. ANOTHER PRETTY FACE Jeff Dunlop, Reg. 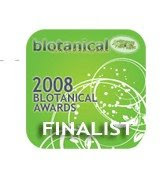 2008 Sdlg. 99256-2T. SIB (tet. ), 28" (71 cm), ML ; S. blue violet infused red-violet (RHS 87A); style arms same, slightly darker at keel; F. blue violet (89B/C), slightly darker than S. and style arms, yellow hafts, small yellow-white signal; ruffled. 96102-3T: (Harpswell Chanteuse x McEwen T7 87/80-1) X Strawberry Fair. Fieldstone 2009. 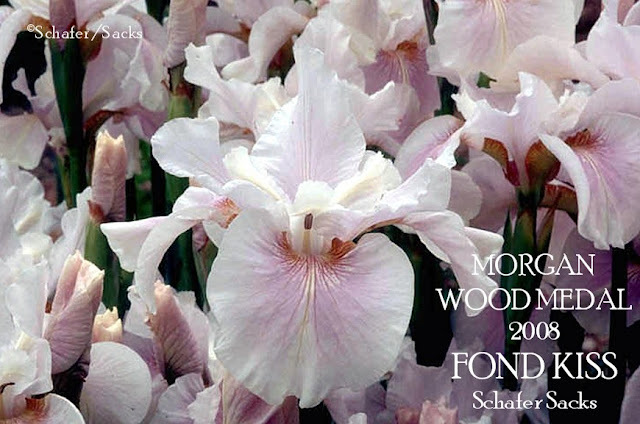 Today starts the series "Siberian Iris"
Photo above "Fond Kiss' the Morgan Wood Medal winner for 2008 and my sincere congratulations to Jan Sacks and Marty Schafer of Joe Pye Weed's Garden fame. Plant can be ordered in America for April delivery from Joe Pye Weed's Garden.Order Early, I am sure it will be popular. Description from JPW Catalog 2009. The coming few weeks there will be post with information on "How to grow' and of course where to buy them from. Plus we have been sent some amazing Siberian Iris photos most from the hybridisers themselves. Siberians are sold in the US of A in the Spring and Fall and by Tomas Tamberg in Germany in Spring. In New Zealand Siberians are sold in the Autumn so with the Spring next up in the Northern Hemisphere, and with Autumn next up in the Southern part of the World we can promote the Irises and no one will have to wait to long for their plants to arrive. Visitors will also note a New Siberian Iris Link on the left side column this will make it easier for visitors to link with the growers Web Sites and the Siberian Iris Society for the period of this series of posts. So "Pick Yourself Up, Dust Yourself Off, and Grow Siberian Iris" I guarantee they will brighten up your day and the garden no end. 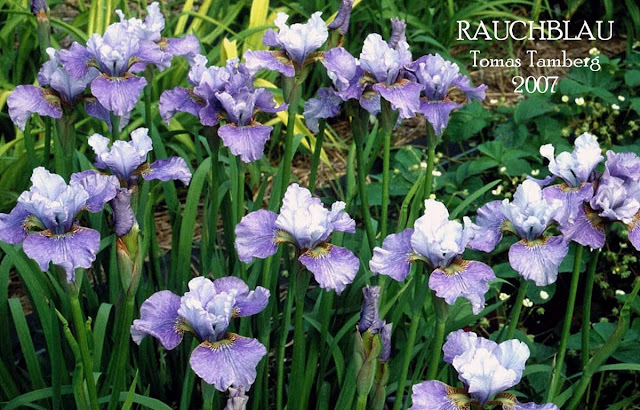 An Historic Intermediate Iris that is in our collection is a distinctive plicata colour tone not often seen a lot in bearded Irises, well described in checklist description below as a lavender, grey, blue. Clumps up well with an abundance of bloom stalks. CONFEDERATE SOLDIER IB 18" (Lucy Lee x Rococo) X Knotty Pine. A much overlooked shorter IB is 'Confederate Soldier' (H.Nichols '74) a white ground, greyed mauve plicata which is absolutely reliable, typically with five buds per stalk and frequently more than one stalk per rhizome. CONFEDERATE SOLDIER (H. Nichols, R. 1974). Sdlg. 22115A. IB 16" (41 cm) M-L. S. lavender-grey-blue; F. white, banded lavender-grey-blue; orange and white beard. (Lucy Lee x Rococo) X Knotty Pine., Cordon Bleu 1978. THE BRIDE or BRIDE is a historic dwarf Iris that grows very well here at home.It is somewhat special to have a very small part of early British iris breeding history in the collection. 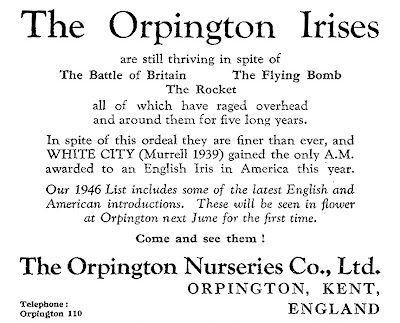 Originally classified by John W.Caparne as a 'New Intermediate' in his catalogue 'The Iris Plant and Bulb Co'. St.Martin's Guernsey 1903 Catalogue. Pure white Self, with a white to primrose beard. John William Caparne work in median Irises is still today less well-known than it deserves. 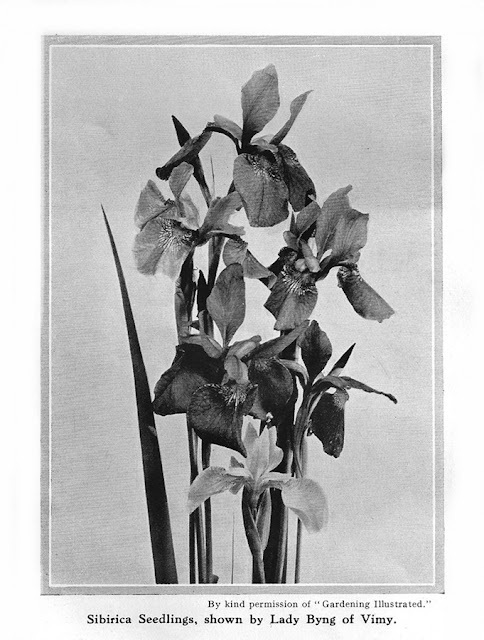 Long before the British or American Irises Societies were even contemplated he was breeding and promoting Iris. A personal friend of Sir Michael Foster who commissioned illustrations by Caparne for his works and many appear in Sir Michael's 1892 book 'Bulbous Irises' where he states "Those figures which bear the name 'Caparn' were most kindly drawn for me by my friend Mr. J. W. Caparn, of Oundle." Caparne was a talented artist whose introduction to Irises came from a desire to paint them. W.R Dykes in 'The Handbook of Garden Irises',1924 "Within the last few years some growers have attempted to enlarge the Intermediate section by including in it such early flowering varieties as florentina, Siwas, Kochii and Karput. The term intermediate was probably first used in this connection by Caparne and he certainly understood by it dwarfer varieties than these. He defined it, in fact, as meaning an Iris of the size and growth of a large chamaeiris but with flowers the size of atropurpurea or Kharput." Will no doubt post more on John William Caparne at a later date. "That old black magic has me in it's spell." I was very pleased to be given this Iris by Julie May of The Iris Garden when I was last in Christchurch working. Photo taken as the early morning sun casts its rays across the garden creating the bright light and long shadows making the iris sparkle. Black is the stand out colour in any plant variety and whilst most 'Black' irises have a purple or red tone a true black is not that far away. I like the colour a lot and having just checked the database of plants growing at home I see that there are 49 black varieties listed with 3 new varieties to arrive this year, twenty one of these varieties have been hybridised by Schreiner's. The well respected 'Perry Dyer' writes in his Contemporary Views 1994-95. "My favorite of the hundreds of reselect's which l evaluated in Oregon was one of the highly advanced blacks: Schreiner Seedling #AA401-A (now named "OLD BLACK MAGIC", a 1996 introduction). The saturation is as deep as that of 'Hello Darkness' (Schreiner) with waved horizontal falls. Beards are also black, discreetly tipped mustard. More sultry than shiny, and the overall plant habits and quality of stalks will surely make this seedling yet one more player in the Schreiner's family's quest for the 'ultimate black'." Coal black color and mysterious yellow beards. Although smaller flowered, it makes up for size by producing a plethora of buds (8-12 per stem) Add the pleasant scent of sweet raisins and you have an irresistible combinationThe introduction of the Iris BLACK FOREST in 1945 was the beginning's of the magnificent Schreiners legacy of hybridising top class, Black and Dark Violet Irises which continues today with their 2009 introduction ' DRACULA'S KISS', their first red bearded dark Iris. 'Old Black Magic' is available in New Zealand from The Iris Garden, and Amazing Iris Garden. 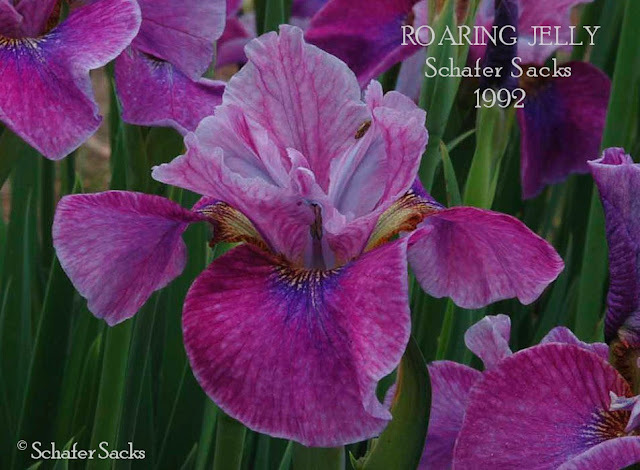 In America it is available of course from Schreiner's, but Generally in America all one has to do is google this variety and find there are many sellers of the iris, such is its popularity. One of our favourites and sure to please those looking for something different. The name means "In the First Place'. The standards are icy oyster and the falls are smoky rose and the beards are bronze with tangerine in the throat. Wide and ruffled with super branching. Will win on the show bench. It is a super parent and it has nice light perfume. (Reciprocal cross of Breezes). IMPRIMIS (Barry Blyth, R. 1991). Seedling Y6-6. TB, 40" (102 cm), Early thru mid bloom season. Standards icy oyster; falls smoky rose; beards bronze tangerine; slight fragrance. ((Inca Queen x (Tranquil Star x (Love Chant x Festive Skirt))) x Amber Snow) X ((Alpine Journey x Beachgirl) x ((Beachgirl x (Tranquil Star x Coral Strand)) x (Persian Smoke x Chimbolam))). Tempo Two 1992/93. A Toadstool that turned into a living sculpture. Growth contortions caused by to much moisture after a long dry period.